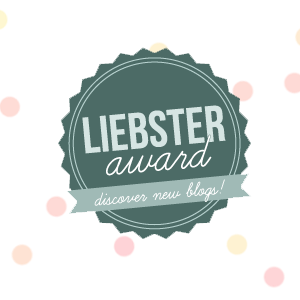 HoooRay For Teaching: Liebster Awards! 1. What song describes your personality? I think the song that best describes my personality is "She's an American Girl" by Trisha Yearwood. I am a huge American Pride, red, white, and blue, love 4th of July kind of girl. 2. What is one item in your classroom that you could not live without? 3. How did you end up teaching at the school you are at? I left my job for a school that is closer to my home and has a supportive administration. 4. If you weren’t a teacher, what would you be? 5. What is your favorite hobby outside of school? 6. What is your favorite unit/concept to teach? Hmm....I think there are a couple. I love to teach graphing, California Gold Rush, and plants. 7. If you could live anywhere else in the world, where would it be? I would stay right where I am. 8. What is your favorite thing about having summers off? I am able to travel! 9. How do you spend your weekends during the school year? 10. How do you unwind after a long day of school? Zoning out on reality tv or sitting in the hot tub. 11. If you could time travel, what era/time period would you go to? 1. Why did you decide to start a teaching blog? I got hooked on TBA and it inspired me to start one. 3. What's your favorite subject to teach? 4. Who is your teaching role model? Her name was Mrs. Moore. I loved her. She was my 3rd grade teacher. 5. Do you use a classroom theme? What is it this year? YES! I will be using owls! 6. Where do you buy most of your teaching materials? 7. What's one piece of advice on classroom management you would give to other teachers? Stick to it. Don't backdown. 8. How do you usually spend your summers? Traveling or in the pool. I would stay right here! 10. What's a quote that inspires you? "Don't let the fear or striking out, keep you from playing the game." 1. I have 2 brothers. 2. I used to be afraid of flying...then I got over it. 3. I am allergic to shellfish. 4. I love New Kids on the Block. 5. Europe is my next big vacation spot. 7. I love Rocky Road ice cream. 8. I have this crazy interest in visiting Cuba...thank you Havana Nights. 9. I love the water...ocean and pool...but will NOT swim in a lake. 11. I really want a dog. My Questions for My Nominees!!!! 3. What is the most unique gift a student has given you? 4. What is your theme for the upcoming school year? 5. What is the one thing in your classroom you can not live without? 7. What is your favorite thing to do on summer vacation? 8. If there was one chore that you would never have to do again, what would it be and why? 9. If you could travel to one period in time, what would it be and why? 10. What is your favorite kind of music? 11. What is your favorite holiday besides summer? Wow! That took some time! Once you are done, please follow me! Good luck on your Liebster challenge!